The online-gaming sector in the Philippines continues to stagger under the heavy hand of newly installed president Rodrigo Duterte, where major operator Philweb has temporarily halted all operations after its license was denied renewal this week by PAGCOR [Philippine Amusement and Gaming Corporation], the country’s official gambling regulatory body. Philweb and its majority owner, Roberto Ongpin, came directly into the crosshairs of Duterte’s fire in recent weeks. Ongpin, who was specifically named by Duterte as one of the “oligarchs” he vowed to destroy, has already resigned his position as chairman and director of Philweb and has resigned all his other roles with the company’s other business interests and related entities. Ongpin has a long history in Filipino politics as well, being the Minister of Trade back in the Ferdinand Marcos administration and serving lesser roles in later administrations as well. Ongpin also has been fined the equivalent of US $4 million on insider-trading charges. That cumulative history is what placed Ongpin high on Duterte’s “oligarchs” hit list, a class of people Duterte has declared detrimental to common Filipinos’ future. Philweb’s “Duterte Harry”-induced collapse is but one of several jarring business-world changes occurring in the Philippines at the present time. While all forms of online-gambling appear to be in Duterte’s crosshairs, Philweb in particular drew the populist-sounding president’s ire for its operation of 287 e-games clubs across the Philippies, which Duterte and his followers have assailed as “poor man’s casinos.” The clubs, though technically private and needing a nominal membership to patronize, offer several forms of online gambling, including slots, baccarat, blackjack and video poker. Another form of the internet cafes popular in other countries, the Philweb-operated businesses operated around the clock, seven days a week… until PAGCOR declined to renew the company’s operating license this week. Roughly 5,000 Philweb workers are suddenly — and very probably permanently — unemployed, and Duterte’s government is willfully forgoing an estimated 2.1 billion Philippine pesos annually should Philweb’s closure be permanent. That’s about US $45 million or 35 million British pounds, a hefty amount for a developing country such as the Philippines to lose. Nor is Duterte’s war on declared enemies limited to the gambling sector. The country’s lucrative mining business, for example, is threatened by Duterte’s declaration that the country could do without that industry. The country is among the world’s leaders in nickel production, and the price of that commodity spiked upward last week as a result. There’s also Duterte’s ongoing war against the region’s illicit drug trade, and his open invitation to Filipinos to conduct vigilante justice against dealers and users both. At last count, at least 400 suspected drug dealers and users have been killed in vigilante slayings in the Philippines since Duterte took office about seven weeks ago. Philweb’s closure, in light of all that, isn’t an unusual development. Even if Ongpin’s spur-of-the-moment auction produces a winning bidder and a sale, there’s simply no guarantee that PAGCOR will reverse course and re-authorize the company to operate the e-games clubs. Those locations are scattered throughout the country, and any gambling business conducted outside the special Cagayuan Freeport special economic zone are under PAGCOR’s regulatory reach. 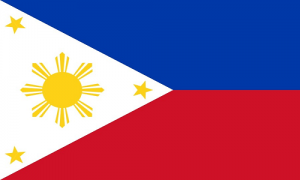 What remains to be seen is how far that reach will extend, with the most extreme possibility being a possible ban on all online-based gambling in the Philippines. 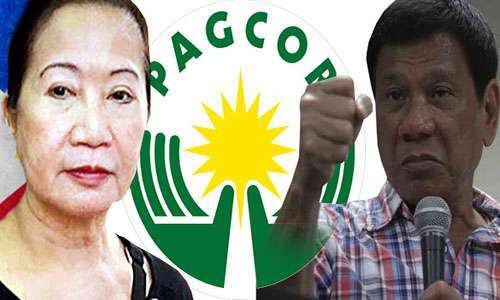 Such a ban can be read into Duterte’s ongoing rhetoric, if taken to the extreme, meaning that PAGCOR’s own future as a gaming regulatory is uncertain in the long term. Many anti-gambling fanatics have proposed or attempted to turn back the clock and undo the perceived perils of online gambling. In the Philippines, however, there’s a real move in that direction. It remains to be seen how far Duterte’s radical populism goes with the country’s populace, however, and support for Duterte’s moves is slowly fraying, even this early in his elected term.